Companies in electric aviation manufacturing are being invited to tender to become a founding technical partner of the new motorsport series, Air Race E.
The series will be run by Air Race Events and led by air racing promoter Jeff Zaltman, who has also founded the Air Race 1 World Cup, alongside an international team of leading authorities in the sport. Air Race E will see electric airplanes racing directly against each other on a very tight circuit just above the ground and at speeds faster than any land-based motorsport. Formula Air Race planes, classified as ‘experimental’, are the only planes in the world designed specifically for racing and built to a specific race formula. Electric aviation is developing and is seen as the third generation of aviation by the like of Rolls Royce, Airbus and Siemens who are leading the way in the technical development of commercial electric planes in this fast-paced Research and Development intensive industry. Air Race E is to be sanctioned by the official Formula Air Racing Association (FARA) and Association des Pilotes D'Avions de Formules (APAF), the two formula air racing governing bodies, upon launch of the series. Air Race E will be a similar format to the sport known as ‘formula one pylon air racing’ where the world’s best race pilots compete simultaneously to be the first one to cross the finish line. Eight airplanes race directly against each other at speeds of over 400kph around a tight circuit just 1.5km end-to-end. Air Race E is planning to launch its inaugural series of international races in 2020. 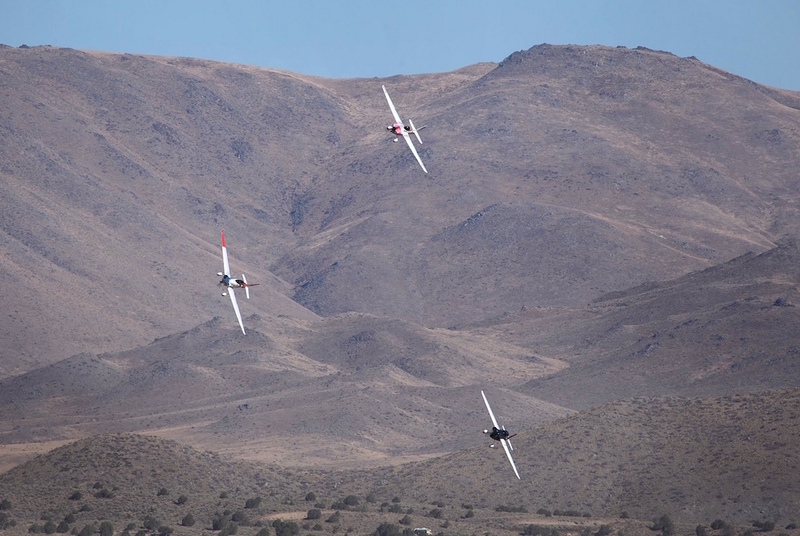 Jeff Zaltman, CEO of Air Race Events, commented; “We are thrilled to announce the world’s first and only all-electric airplane racing championship. “Air Race E has secured all the key components to make this vision a reality: the airplanes, the race pilots, the engineers, the sports associations, a test center in Europe and the racing heritage and expertise that is unrivalled in the world. “We are now just looking for the best powerplant and electrical systems for the job. Air Race E will become the unifying body that will drive the development and promotion of cleaner and faster electric aircraft. Des Hart, President of FARA, said; “Formula Air Racing has a rich history as the fastest and most innovative international motorsport and Air Race E will allow us to continue that story and give us the global platform to take air racing into the next generation and beyond. Dominique Milcendeau, President of APAF, said; “There is no doubt that air racing has been significant in aircraft and engine designs and in technological developments. The Schneider Trophy, the Reno Air Races, the Gordon Bennet Trophy and the Cleveland Races ring in the mind of pilots but also engineers worldwide.